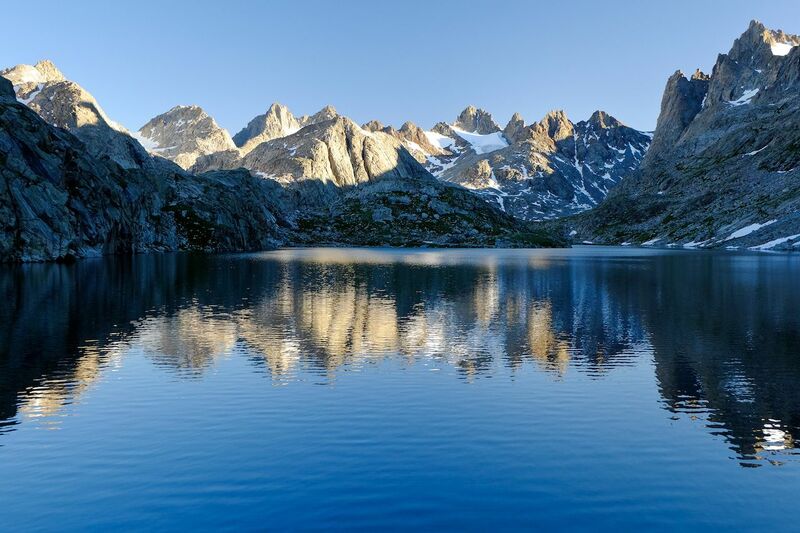 When most people think of backpacking in the West, their minds drift to bucket-list destinations like Colorado’s iconic 14ers, John Muir’s Sierra, the Pacific Crest Trail, or the jagged North Cascades in Washington. Very few have heard of the Wind Rivers in Wyoming — and those who have like it that way. Here’s what they’re missing. The Winds stretch for over 100 miles along the Continental Divide, just southeast of much more popular places like Yellowstone and the Tetons. 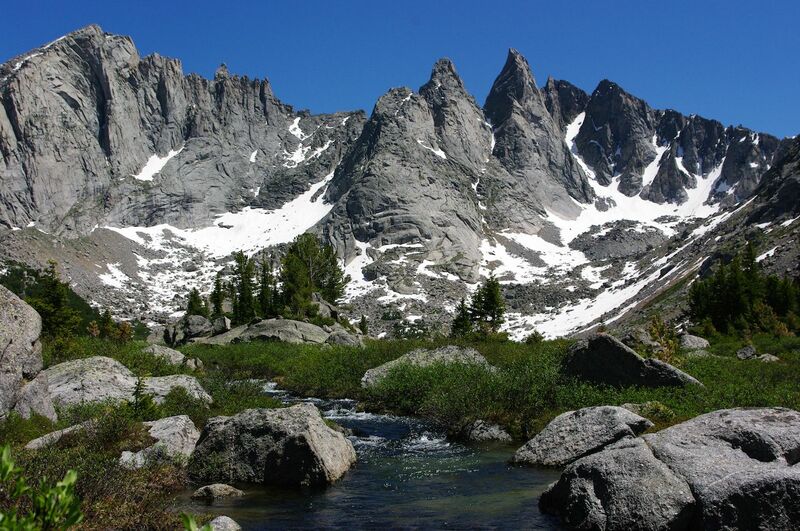 They are a truly wild and rugged wilderness, protected by two National Forests and the Wind River Reservation. 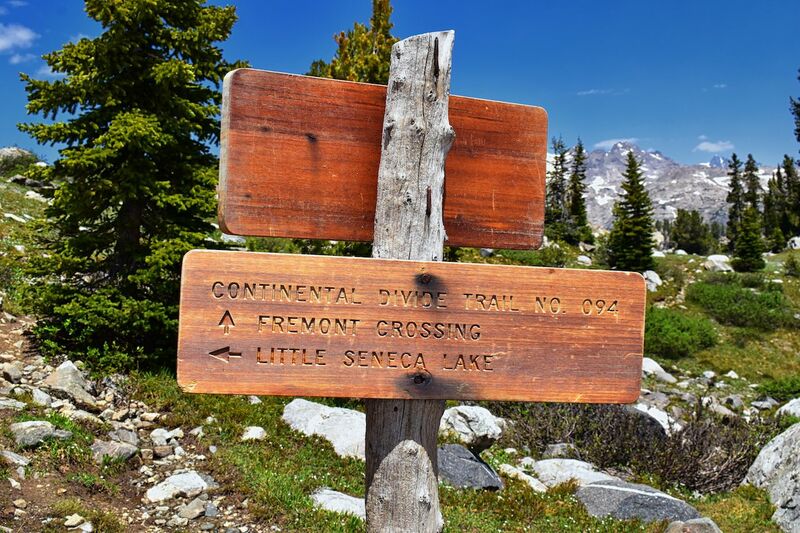 All told, the range has more than 30 peaks higher than 13,000 feet and over 130 glaciers dispersed across three-quarters of a million acres of public land. It’s a backpackers’ playground. There are nearly endless reasons to visit this part of Wyoming. Solitude is ample, trips will push your limits and challenge your skills, and the range is downright gorgeous. 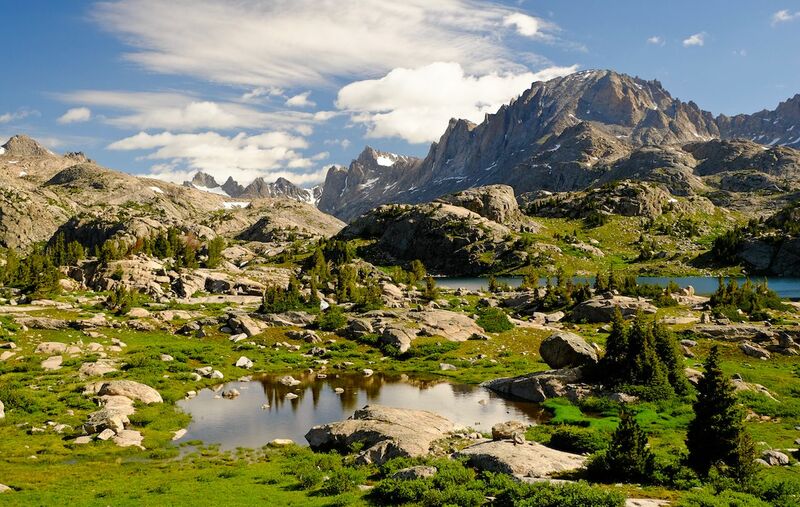 Tall granite spires, serene lakes, and endless wildflowers create picturesque views around every corner. The wildlife is abundant — including the notorious mosquito swarms. 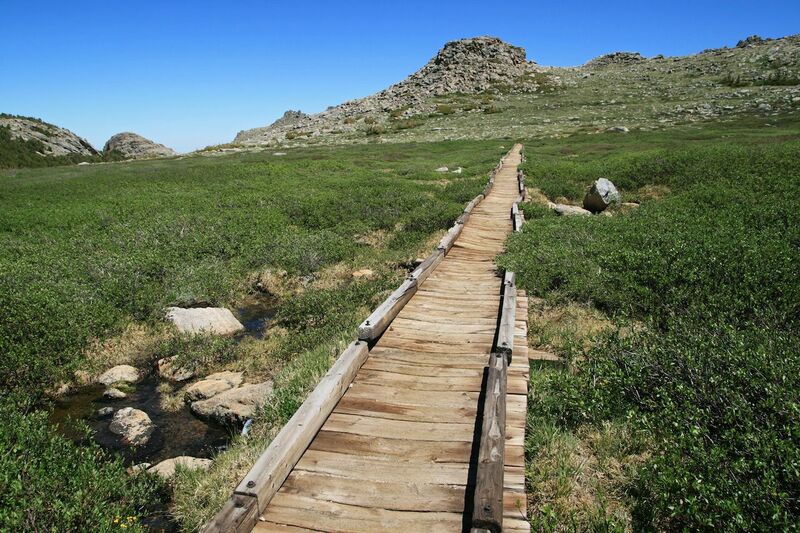 What’s the best route to hike? There are two well-trodden zones in the Winds — Cirque de Towers and Titcomb Basin — for good reason. While most of the range is objectively beautiful, these two areas seem to be pulled from another world. I chose a 25-mile, three-day loop through the Cirque after reading a friend’s trip report about the area, and I was anything but disappointed. The route begins at Big Sandy Trailhead, which takes an hour and a half of driving on bumpy dirt roads to reach. From there, the trail is easy to follow, heading six miles at a low incline to Big Sandy Lake. The views here are serene and only get better as you climb the steep Jackson Pass into the Cirque de Towers. All told, the first day is roughly 10 miles, depending on where you camp in the Cirque. The next day you’ll head off-trail, making your way over Texas Pass using topo maps and following cairns. Depending on the season, you’ll experience some boulder hopping, snow-field crossings, or both. On the far side of the pass, the descent into Shadow Lake is relatively straightforward. Shadow is scenic and a great place to camp your second night. The last day is a rolling nine miles back to where you started, passing a few lakes with a steep descent at the end. The views never seem to end all the way back to the car. What about weather and bugs? Prepare for anything and everything. The Winds are at a higher elevation than many other ranges in the west and, accordingly, winter sometimes sticks around as late as May and returns as early as October. The other four months are known for harsh mosquitos and thunderstorms. At night, it’s likely to drop to below freezing; I woke up to frost on the ground during my trip in late summer. You’re also likely to encounter bugs and rain at points throughout your journey. I spent a couple hours under a large conifer tree one afternoon waiting out a big storm. It’s all part of the adventure. Are their permits or regulations? Largely due to the low visitation, there are no permits required to backpack in the Winds. 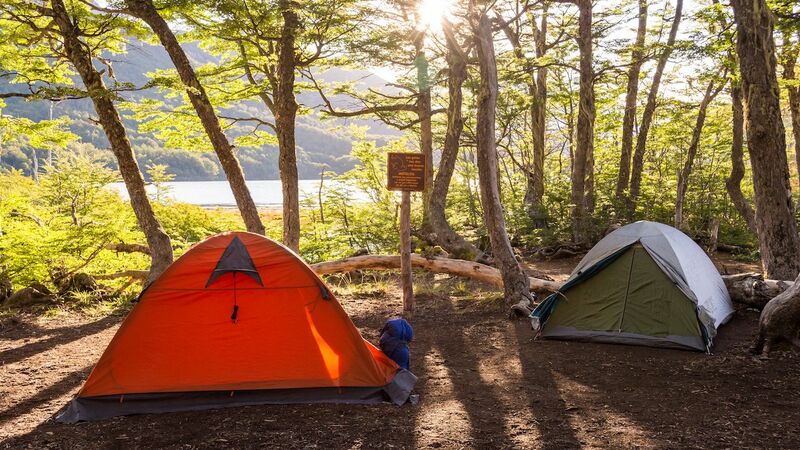 The key rules to follow are basic Leave No Trace principles. The Forest Service asks that you travel in groups of 15 or fewer, stay on the trails, and don’t camp within 200 feet of water sources. In general, leave things how you found them. Where should I stop and explore? From this basic loop, there are many side days trips that one could make. Deep Lake is a popular option with a developed trail from Big Sandy and big cliff walls. Spending extra days in the Cirque to climb some of the classics like Pingora is also common. For more ambitious hikers, a northern expansion of the loop (adding two-plus days to the route) to see Buffalo Head and Washakie Pass is a great twist. This could easily be its own article. Here’s the shortlist of gear that’ll help you enjoy your hike a little bit more. The Osprey Atmos or similar pack is what you’ll want to have on your back, perfect for a long weekend. It’s comfortable and snug, which is especially helpful for off-trail sections. I set up an MSR Hubba Hubba NX, one of the lightest tents on the market. It sets up fast, stays upright in storms, and has enough space for three and a dog. I slept in a Mountain Hardwear Ratio 32, a great sleeping bag for use during summer and the fringe seasons. You’ll want to have a campfire stove that can simmer and be easily repaired in the backcountry. The MSR Dragonfly is a reliable choice; be sure to have an extra butane tank with you. Key pieces of apparel include a Mountain Hardwear Ozonic Shell, Kor Strata Hoody, and AP Pants. All three are versatile and durable, making them great for the high country. 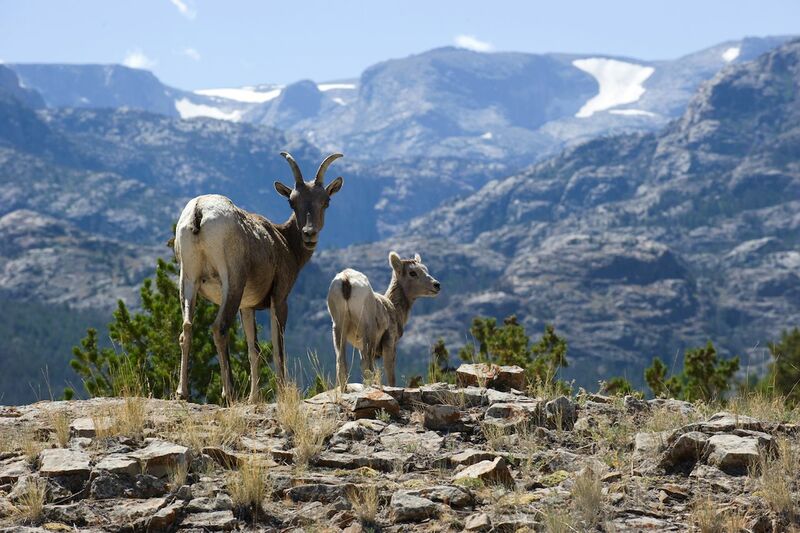 The post Why you need to hike the Wind River Range in Wyoming appeared first on Matador Network.